Ole Gunnar Solskjaer has made a great start to life as Manchester United manager and talk seems to be growing over him potentially taking the job permanently at the end of this season. The Norwegian tactician was recently placed in charge on an interim basis after the sacking of Jose Mourinho, with a bigger name expected to be targeted in the summer. 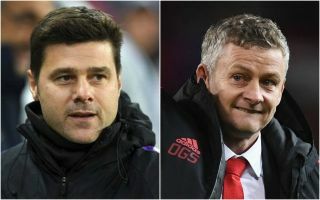 However, the Daily Mirror are now talking up Solskjaer’s credentials and the factors that could swing things in his favour against top target Mauricio Pochettino. The Mirror suggest Solskjaer could have a big ally on the United board in former manager Sir Alex Ferguson, who has become increasingly involved behind the scenes again after brain surgery last year. It remains to be seen if this will be enough, but the report also makes reference to how expensive and generally complicated it could be to prise Pochettino away from rivals Tottenham, while Real Madrid are also linked as admirers of the Argentine. Solskjaer would certainly be a popular appointment with United fans after making such a great early impression in the Red Devils hot seat.